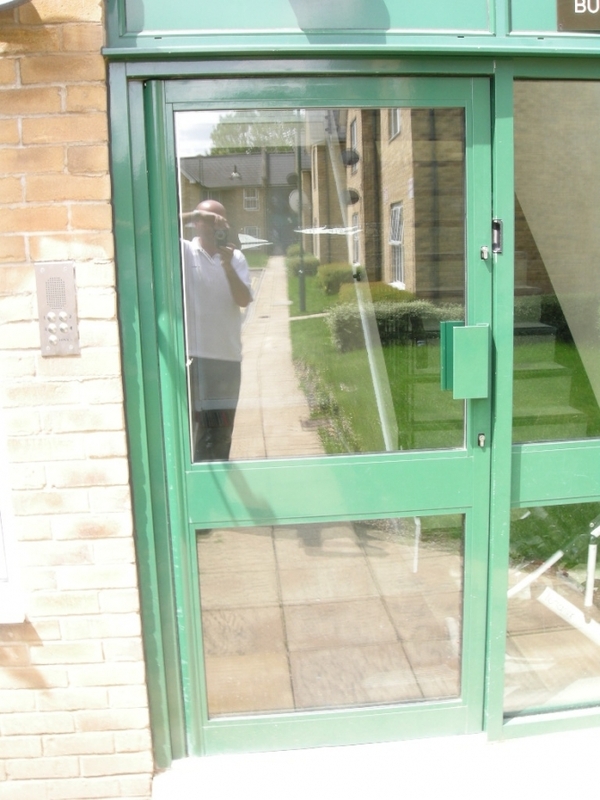 Commercial doors like the one in photo above commonly found on Shop doors or on entrances to Blocks of flats office blocks etc.when the door closing equipments fails the door starts to slam this can be very annoying especially in Blocks of flats where this casn keep tennants awake all night. 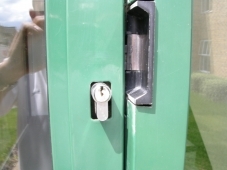 With new Transome Closer and Drive arm door will work as good as new. Door will close slowly and lock securely without slamming. GBM specialise in Commercial door repairs and carry Transome closers Drive arms pivots Shoes Adams Rite deadlatches Hook bolts lock cylinders on van.